My mother and father divorced the same month I turned twelve. I had a four year old brother and five year old sister. Until that time, my mother stayed home with us and took care of all the cooking, cleaning, and the little ones. I'm sure you're asking, what does any of this have to do with cooking?? Well, the new responsibilities of being a single working mother left little time for my mom to teach the homemaking skills I needed. Plus, I was very busy babysitting my siblings and certainly didn't realize the importance of reaching out to my grandmothers at the time. Through the years, I've devoured cookbooks and spent time in the kitchen with my mother and grandmothers, but I still feel a little inept in the kitchen. So, when the Molly Crew opened an opportunity to review a Cooking "How to Manual" I was beyond excited! So, What is Everyday Cooking? Everyday Cooking is a collection of simple, nutritious and delicious recipes (with an emphasis on whole foods), meal plans and time saving food preparation tips. The purpose is to help make meal time special, yummy and non-consuming! Everyday Cooking began as a chapter in the author's Home Education 101 manual. The chapter was titled, "Getting Dinner to the Table the Same Day You Homeschool". Everyday Cooking, a full cookbook and educational guide, was born from that chapter after moms and dads requested more recipes and more ideas! The physical book is 100 pages, coil bound, with a glossy front cover. It's also available in e-book format (the format we received). There is a twelve page preview of Everyday Cooking here. Just click the preview button just below the cookbook's picture. The full contents page, which includes all the recipes and the first couple of pages of time-saving/budget friendly tips are included! This blue link will take you to two desert recipes featured in the cookbook. The following will take you to a homemade bread recipe and detailed pictures, both included in Everyday Cooking. I'm planning for bread-making to be our next cooking adventure! First, let me begin by telling you that because the author explained pressure cookers, how safe they really are, and how quickly a meal can be prepared I began thinking maybe I should not be terrified of them after all. So, after a few days of thinking about my grandmother and father being pressure cooker pros, and how they have encouraged me to use one many times in the past, I gave them both a call and then decided I should go for it! My husband was on board and we bought one the same day I spoke with my family! It has been the best decision EVER! I've used this pressure cooker each day since she came into our home. I now consider this a must have kitchen tool! This pressure cooker recipe I've made twice and it's a hit with the whole family - and and an eight year old guest! Chops in Herbs and Wine p. 49 ~ She details how to use the pressure cooker to prepare this meal, the oven and the stove top. The author includes a reminder on safe pork temperature and shares that she uses an instant read digital thermometer. Presentation ideas are also included. Homemade Granola, p.27 ~ The author gives variations to the granola recipe ~ we used pecans since that was the only nut we had on hand. Kristie's Roll Out Cookies p.64 A super fun and delicious treat! As you can tell, this recipe/cooking 101 book has been a wonderful addition to our family. It has opened a wonderful array of new cooking ideas like pressure cooking! I also love that there is a check off list of kitchen skills. This is a welcomed home economics addition for the children that will last all the way through high school. I am learning, the kids are learning and we are having FUN! 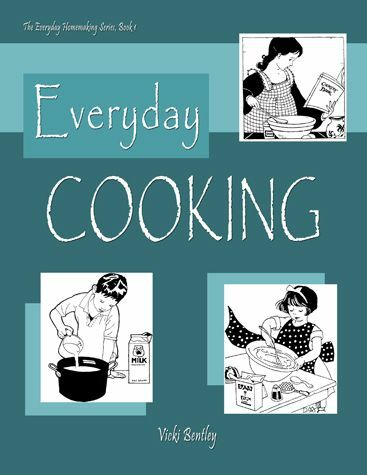 Everyday Cooking is available as a physical book for 17.99 here. The ebook version is 14.99. You may purchase it here. Mrs. Bently is a homeschooling mother to eight children (their youngest is now twenty-two) and was foster parent to more than fifty. She and her husband raised their family on a farm Virginia where she took to heart the charge of the Titus 2 woman. Many of her foster children were in fact, pregnant teenagers. She would help train them in "mommy" skills. 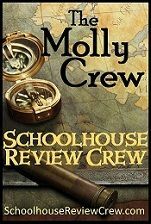 Read what other Molly Review Crew members thought about Everyday Cooking and another product from Everyday Homemaking, the Everyday Chore System by clicking the link below. Disclaimer: As a member of TOS Molly Review Crew, I received an e-book copy of Everyday Cooking in exchange for my honest review. All thoughts are my honest opinions. What is Vocabulary Spelling City? VOCABULARYSPELLINGCITY.COM, Premium have you heard of it? It's an award-winning, extensive web-based spelling, vocabulary, grammar and writing practice (beta) program. This program helps elementary through high school students learn using many activities, games and videos. It's also a record keeper. It tracks student's progress and assignments. It also gives, grades and records tests. For tests, the program details the words answered correctly with a check mark and the misspellings by crossing through the misspelled word and listing the correct spelling to the right. After a spelling test one can print a Spelling Certificate with percentage correct. This feature seems available only immediately after the test - I couldn't find a way to go back and print completed test certificates. If you don't have a current spelling program, not a problem! The site has "Useful Word Lists" ready to go. There is even a 55 week Beginning Spelling Curriculum! There is so much to this curriculum. I am constantly finding new videos and teaching resources. I used our current spelling curriculum to make customized spelling lists for C8. I then chose assignments for her to complete on her own. An example of assignments I chose include a test and games such as Hang Mouse, Match it Definitions, and Premium Crossword. All assignments used only the words from my specific list and the teacher's grade book tracked her progress for me. In addition to spelling/vocabulary lessons, C8 and I watched language arts lessons. LA lessons are short videos with printable worksheets, hands on activities and classroom activities. Two examples of topics we explored are parts of speech and antonyms. In the writing practice area, we watched video lessons on subject/verb agreement and crazy commas. C8 then put into practice what she'd just learned with a printable worksheet. With R6, I printed out customizable handwriting practice worksheets using his spelling list. I let him chose the games to explore on his own, and I sat beside him to offer help when needed. Typing is a new skill for my little buddy. We played the free VocabularySpellingCity.com app on our iPhone. There is an option for Premium Members to sign in and use their individual spelling lists. 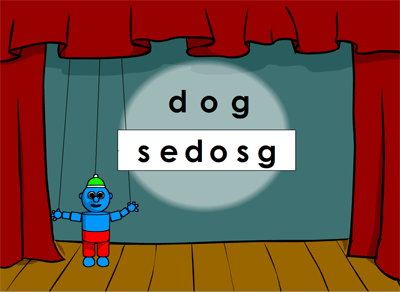 Having this online spelling resource has been especially wonderful while traveling. C8 and R6 were able to practice their spelling words on the go without packing anything besides our laptop. I like light packing! They both enjoy learning through games, whether they are online, an app or printable worksheets. The certificates always bring big smiles to their sweet little faces. This has been a fun review and we will continue to use VocabularySpellingCity.com. For families of up to 5 students the cost is only 29.95 per year. To me, it is completely worth the price of a premium membership. For classrooms of up to 25 students, it's only 49.99 per year. One may find out more about Vocabulary Spelling City Premium Memberships here. Below is a table of features comparing the free, basic program with the paid, premium program. As one can see, the Premium features are extensive and include no commercial banner ads. Lastly, here is a video, from Vocabulary Spelling City, explaining the features of their premium program. Read what other crew members are saying below. 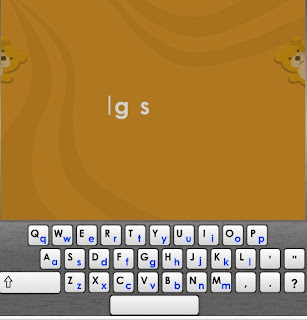 I received VocabularySpellingCity.com at no cost to me, in order to complete an honest review with my children. All opinions are completely our own honest thoughts.